Healthcare in Germany is based on a decentralized and self-governing system. 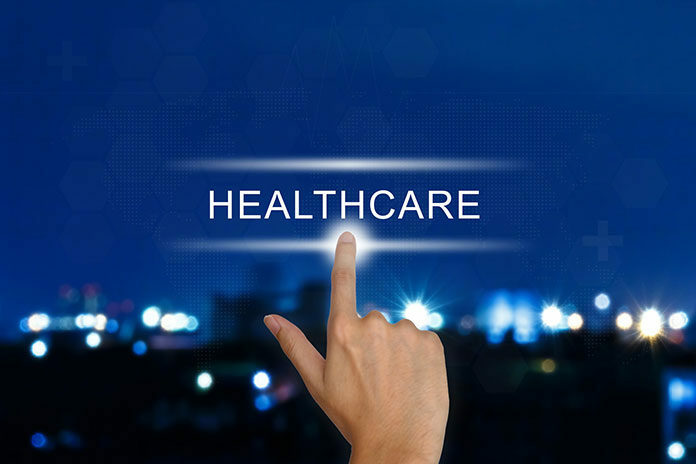 This article describes the functioning of the German healthcare system, its structure, the changes it has experienced over time, and the organizations involved in the delivery of healthcare in the country. But first, we should take a look at the principles upon which healthcare in Germany operates. Principle of solidarity: Everyone has an equal right to receive medical assistance, as long as they are covered by statutory insurance and regardless of income and premium levels. Premiums are income-based, so higher income earners help subsidise healthcare for lower income earners. However, and to ensure a fair system, maximum premiums are calculated according to a percentage scale and have an income threshold (Beitragsbemessungsgrenze), which applies to anyone who earns above the threshold. Principle of self-governance: The German executive defines the conditions for the delivery of medical care. However, the state is not responsible for details regarding the organization and funding of individual medical facilities. This falls under the responsibility self-governing bodies, which include representatives of medical practitioners (physicians, dentists, psychotherapists) as well as hospitals, insurers and insured patients. The most important and influential self-governing body in the German healthcare system is the Federal Joint Committee (Gemeinsamer Bundesausschuss G-BA, whose functions are described in detail further down in this article). Principle of compulsory insurance: Health insurance (gesetzliche Krankenversicherung – GKV) is compulsory for anyone whose gross earnings are below a fixed threshold (Versicherungspflichtgrenze). Anyone who earns above the threshold can opt for private insurance (private Krankenversicherung – PKV). A premium-based system: Unlike in the United Kingdom or Sweden (where healthcare is financed through tax revenues), healthcare in Germany is primarily funded through the premiums paid by employees and employers. Having said that, a certain amount of surplus tax revenue also goes towards financing healthcare in Germany. This stands in contrast with other healthcare models (e.g. in the United States), where individuals or private insurers are solely responsible for covering healthcare expenses. The origins of the German healthcare system can be traced back to the Middle Ages and to the guild system. Guild membership offered a basic form of German health insurance based on the principle of solidarity upon which the modern healthcare system is built. Guild members contributed to a fund and the amount raised was used to help less well-off members whenever they needed financial support during a period of illness. During the late 18th and early 19th centuries, factory workers in Germany had access to a similar insurance system. Following a policy of unification initiated by Otto von Bismarck, health insurance was introduced across Germany in 1883 with the objective of providing medical cover to all workers. Insured workers had the right to receive free medical treatment and drugs, as well as other benefits such as sickness pay and funeral allowances. Although initially only 10 per cent of the German population was insured, today that figure has gone up to 97 per cent. Statutory accident insurance for work-related incidents and illnesses (1884), which also offered payments for work-related disability or in the event of death in the workplace. Nowadays, accident insurance is mandatory for employees and must be exclusively funded by employers. Statutory pension funds (1889), used to pay retirement, disability, and rehabilitation pensions. These are currently funded by employees and employers, both of whom contribute equally. Long-term nursing care insurance (1995), which partly covers the costs or nursing care. The four types of insurance mentioned above, plus health insurance, make up the five branches of social welfare in Germany. The legal basis for the social welfare system is defined in the German Social Code (Sozialgesetzbücher). Below is an overview of the institutions responsible for running the healthcare system in Germany. The Federal Ministry of Health (Bundesministerium für Gesundheit – BMG) is responsible for developing healthcare laws and policies at federal level. They are also responsible for outlining administrative guidelines that must be implemented by self-governing bodies. There are a number of healthcare agencies and institutions that come under the Federal Ministry of Health, namely the Federal Institute for Drugs and Medical Devices (Bundesinstitut für Arzneimittel und Medizinprodukte – BfArM), which is involved in the approval of pharmaceutical products; and the Paul Ehrlich Institute (PEI), whose area of responsibility is the approval of vaccines. The Federal Joint Committee is the highest decision-making body in the German healthcare system. The committee is made up of representatives of physicians, dentists, psychotherapists, insurance providers, hospitals, and patients. The Federal Joint Committee is responsible for defining which medical services will be covered by the statutory insurance and under which form will coverage be provided. Quality assurance is another key responsibility of The Federal Joint Committee, which carries out this task with the support of the Institute for Quality and Efficiency in Healthcare (Institut für Qualität und Wirtschaftlichkeit im Gesundheitswesen – IQWiG) and other institutions. The German Hospital Federation (Deutsche Krankenhausgesellschaft – DKG) is a representative body that encompasses the different organisations responsible for running hospitals, including cities, municipalities, not-for-profit associations, private sponsors, religious organisations, and others. The Public Health Service (Öffentlicher Gesundheitsdienst – ÖGD) is a federal institution tasked with protecting the general public from health risks and with promoting good health. This is achieved in collaboration with regional health departments throughout Germany, which regulate and offer public health services, as well as counseling and support for individuals with psychosocial problems. Statutory health insurers must provide health insurance to eligible residents. To do so, there are a number of inter-agency contracts between insurers and several professional institutions and organisations (listed in the next section). 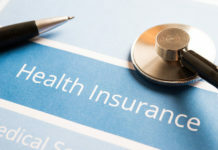 In turn, insurance providers are represented at federal level by The National Association of Statutory Health Insurance Funds (GKV-Spitzenverband), whose activities are governed by law. With regards to private insurers (which offer full, partial or add-on cover), they are represented by the Association of Private Insurers (PKV-Verband). The following professional associations collaborate with health insurance providers in order to ensure that medical care is delivered to all eligible residents. Associations of statutory insurance for physicians and dentists: Physicians, psychologists, and psychotherapists must belong to a regional association of statutory insurance for physicians (Kassenärztliche Vereinigungen – KV) in order to bill for the services provided. Dentists are represented by the relevant associations of statutory insurance for dentists (Kassenzahnärztliche Vereinigungen – KZV). At federal level, medical professional are respectively represented by the Federal Association of Statutory Insurance for Physicians (Kassenärztliche Bundesvereinigung – KBV) and the Federal Association of Statutory Insurance for Dentists (Kassenzahnärztliche Bundesvereinigung – KZBV). Physician, dentist, psychotherapist and pharmacist chambers: Physicians, dentists, pharmacists and psychotherapists must belong to their respective chambers. These institutions define and ensure compliance of their members with regards to their professional obligations, oversee board examinations and professional certifications, decide on malpractice claims, and are also responsible for ensuring compliance with the Radiation Protection Ordinance. There are chambers that act at state level and chambers that operate at federal level. Pharmacy associations: Pharmacies provide medicines, as well as information and advice about their use. To ensure drug availability throughout the country, the various pharmacy associations in Germany have agreements with the National Association of Statutory Health Insurance Funds (GKV-Spitzenverband) and with individual insurers. Other professional associations: including associations that represent physiotherapists, speech therapists, nurses, and midwives, which have agreements with the Central Federal Association of Health Insurance Funds and with individual insurance providers. The German healthcare system is divided into three main areas: outpatient care, inpatient care, and rehabilitation facilities. This refers to the delivery of healthcare services outside of hospitals, usually in practices owned by self-employed doctors, dentists, psychotherapists and other healthcare professionals. Medical professionals who possess statutory health insurance accreditation (known as “Kassenzulassung”) are entitled to treat any patients who are covered by statutory health insurance. Family doctors, dentists, and specialists who provide outpatient care are represented by their respective association of statutory insurance and by other professional bodies. Outpatient care is also delivered by family doctors or general practitioners (“Hausarzt”), who are usually the first point of contact when a health condition arises. If the condition warrants referral, family doctors are authorised to refer the patient to a specialist (e.g. gynaecologist, dermatologist, etc. ), although patients can also make an appointment directly with a specialist without needing a referral from their general practitioner. Outpatient care is also provided in joint practices and medical care centres across Germany. These are run by two or more physicians or by other healthcare specialists. Some joint practices are equipped to provide the type of specialised care that is delivered in hospitals, including tests, day surgery, or special examinations. Lastly, outpatient care is also defined as the provision of health services at hospitals or care centres, as long as these do not involve an overnight stay. Inpatient care is delivered at hospitals and in most cases, it is available to all patients irrespective of whether they have statutory or private health insurance. Hospitals are funded through different sources: large hospitals usually receive funding from the central or local government, whereas others are financed by not-for-profit organisations (e.g. the German Red Cross) or by religious entities. On the other hand, private hospitals (which are usually smaller and more specialised) provide inpatient care to patients who are covered by private insurance. A medical treatment qualifies as inpatient care if it involves an overnight stay at the hospital. Patients may be charged additional fees are charged for hospital accommodation and meals, as these are not covered under statutory insurance. These fees are presented in writing to the patient prior to treatment and their acceptance represents a contract between a patient and the hospital. Rehabilitation facilities in Germany also provide a form of inpatient care. Their main area of practice involves the delivery of treatment aimed at helping patients achieve independence and improve their physical condition following an accident, a serious illness, or intensive therapy. Rehabilitation does not have to be exclusively focused on physical performance, as it entails the delivery of various treatments, including physiotherapy, psychological support, and assistance with the use of medical appliances or mobility aids. Generally speaking, rehabilitation services are delivered after an inpatient treatment (e.g. surgery or emergency medical attention). Other rehabilitation facilities specialise in the delivery of psychological care to patients with addictions or mental illnesses. Next articleGerman Health Insurance – Private or Public Health Insurance?